Empowering and true! 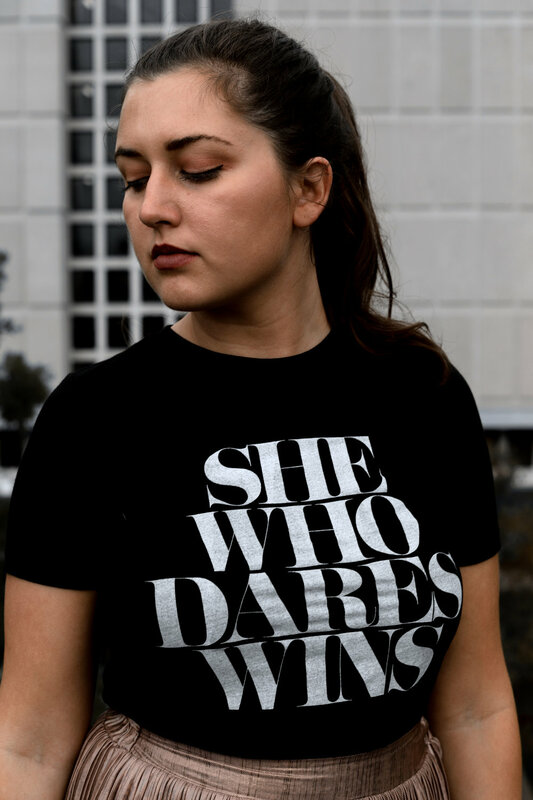 The She Who Dares Wins Top is a cozy, lightweight, fitted shirt made by Allkind. It runs true to size and is a little short if you have a long torso like me, so I recommend wearing it tucked in with a skirt or layered on top of a tank.